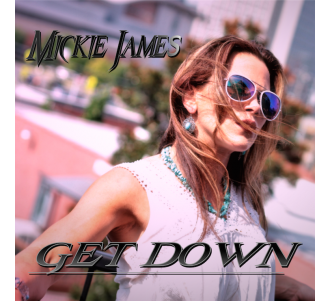 Mr. Nashville: WWE® SUPERSTAR MICKIE JAMES BACK ON COUNTRY RADIO WITH NEW SINGLE, "GET DOWN"
WWE® SUPERSTAR MICKIE JAMES BACK ON COUNTRY RADIO WITH NEW SINGLE, "GET DOWN"
Nashville, Tenn. (September 19, 2017) — WWE Superstar Mickie James is back on the radio airwaves with her latest country single, "Get Down." The new tune, written by James and Nashville songwriter Bridgette Tatum, is the debut single from her forthcoming untitled full-length album. "I am beyond excited to release 'Get Down' as my newest single and just one of the tracks off my upcoming album," says James. "After my last album, I took a step back from touring and recording to have my son, Donovan, which honestly, was one of my greatest accomplishments in my life. But, I kept hard at work writing and trying to get back to my roots... now with a new purpose for everything. I teamed up with SMG Records & Media in Grand Rapids to hopefully bring you something fresh, new, and true to me. It's so amazing to be able to share this with you all." James, a six-time WWE Women's Champion, is no stranger to the country music scene. The upcoming project will be her third country album since releasing her first in 2010. "Get Down" is impacting country radio now and can be purchased through iTunes, Amazon and other online digital retailers. Fans can catch James on WWE's flagship program RAW on Monday nights at 8 PM ET on the USA Network. For more information on Mickie James, visit wwe.com and mickiejames.com.